CEDARLANE® manufactures complement, Lympholyte® cell separation media, cell purification immunocolumns, neuronal cell lines and a wide range of antibodies. CEDARLANE® continues to offer our Custom Antibody Services and increased demand has lead to the continued expansion of our facility. We understand the varied nature of custom work and encourage you to call our qualified staff to discuss the details of your project. Please inquire about other services not listed. 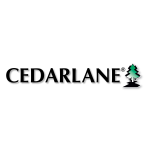 Be assured that we at CEDARLANE® are dedicated to ensuring the confidentiality of all projects we discuss.